According to pool renovation companies, getting a new pool is exciting when you think about all the great times you’re going to have for the years to come. And, if you already have a pool, getting it remodelled can be just as exciting as getting a new pool when you consider the different landscaping and decorating options are available. However, when you’re thinking about a new pool or if you’re remodeling your old one, you’ll have to consider whether you’re going to opt for saltwater or traditional chlorine to keep the pool clean. Both saltwater and chlorine pools have advantages and disadvantages regarding safety, maintenance, and longevity, and we’re going to take a look at each right now. First, let’s dispel the myth that saltwater uses no chlorine — it does; it receives chlorine from a chlorine generator rather than by adding tablets or product to a regular freshwater pool. When using a chlorine generator, you must add stabilizer separately, and as with a freshwater pool, you need to monitor the chlorine levels and make adjustments accordingly. Some pool owners find the use of a chlorine generator to be more hassle than simply adding in tablets, but that’s one thing you must decide when thinking about a new pool. When using saltwater, pool owners will have to be concerned about pools that are constructed with plaster, because the saltwater can damage the walls if not brushed off thoroughly. Then, will require some pool resurfacing done soon. Since your pool represents a high-dollar investment, you want to be sure it stays in the best possible shape for as long as it can. Under the best conditions, plaster pools are said to last about 10 years and that’s with both chlorine and saltwater. If you’re using stones or concrete as part of your pool’s landscaping, you need to be aware of how corrosive saltwater can be to those materials. If you do use saltwater, make sure to clean these surfaces thoroughly after each use to keep them in tip-top shape. As mentioned, safety is of the highest concern when talking about putting in a new pool is safety for you and everyone using it. So, while both saltwater and freshwater pools use chlorine for cleaning, it’s imperative you monitor chlorine levels to ensure the safety of your swimmers. In a freshwater pool, you add chlorine to the water via tablets placed in a floating dispenser. And, as mentioned, a saltwater pool gets its chlorine from a chlorine generator. Having too much chlorine can cause a host of health issues including burning skin, chest pain, feeling nauseated, and skin redness. 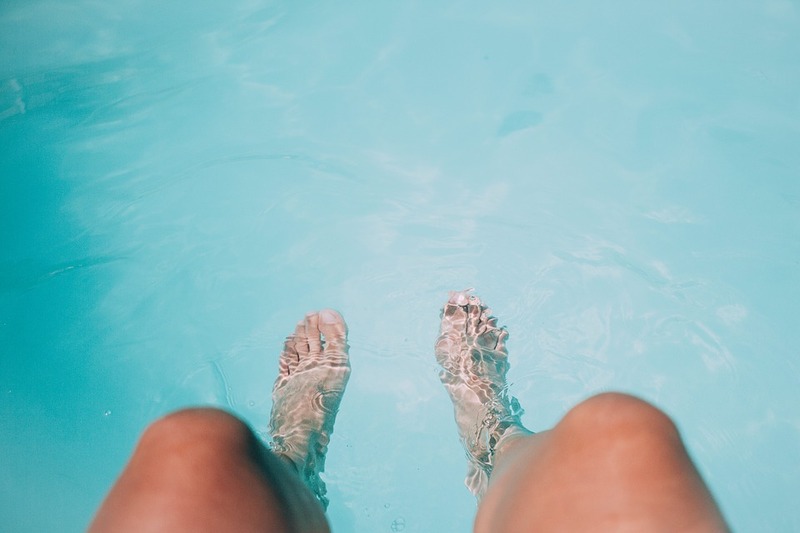 Both types of pools require constant monitoring to make sure the chlorine levels aren’t so high they cause health issues, or too low they do not protect against bacteria. Keep your chlorine levels at optimum and you’ll enjoy many fun summer days in either saltwater or freshwater pool. Whichever pool you choose, with the proper maintenance and monitoring, you’ll enjoy years of safe and fun swimming.